Media Compaines and graphic artists often use Apple Macs ( Mac OS format ) and backed up artwork files and images on Jaz disks 1GB and 2GB. We can convert these for use in Company Windows PC computers by burning the data to CD's or DVD's. 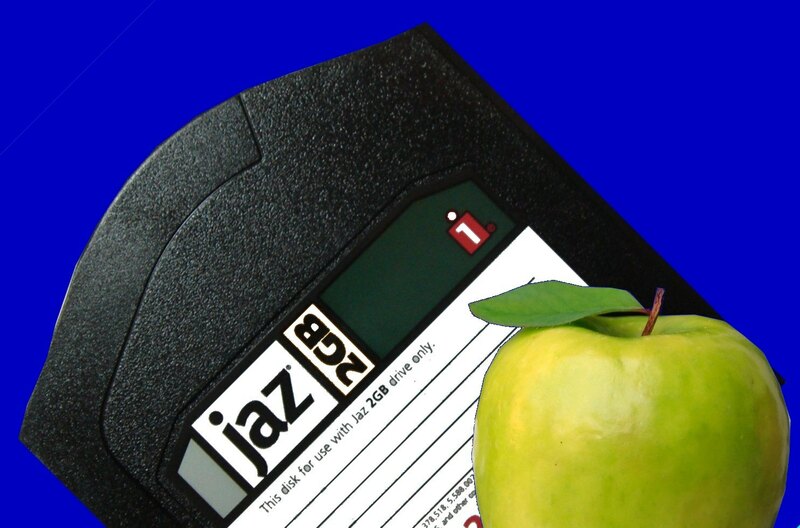 If you need a Mac Iomega Jaz disks convert to PC service, then contact our friendly company. Media Compaines and graphic artists often use Apple Macs ( Mac OS format ) and backed up artwork files and images on Jaz disks 1GB and 2GB. We can convert these for use in Company Windows PC computers by burning the data to CD's or DVD's..